What type of activity is it? A fabulous location, and the patience of golf pro Steve Watkins. He explains things in easy-to-understand terms for non-golfers, works on your strong points, and even after one lesson, you really can notice a difference, from hacking at bits of turf to driving the ball in (at the very least) the general direction of the greens. It really makes you want to learn more. Where do you participate in this activity? The resort’s golf academy and practice range. Got to see/got to do? You can walk to the practice range but it’s much more fun to take the buggy! Everything is provided if you’re just visiting, or a relative novice, but you can use your own clubs if you have them. Non-spiked golf shoes are an advantage. 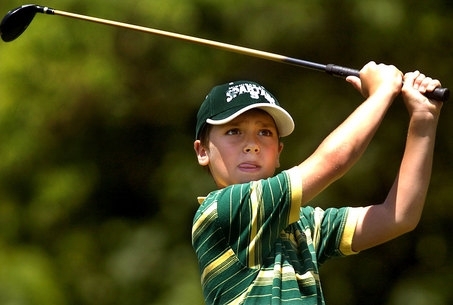 You're almost never too young to start playing golf. Stephen teaches complete novices who have never picked up a golf club before, right up to talented young players looking to improve their technique. If you book a series of lessons, he can take you through the basics of driving, chipping and putting. It’s then up to you if you want to learn more. Solo tuition is recommended for, say, anybody aged 10 or over. Small groups probably work best for younger children - it introduces an element of fun (and competition) and keeps their attention span better. 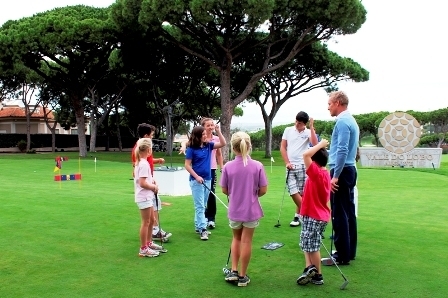 Anytime the weather is good enough for golf - which in the Algarve means most of the year. The benefit of a one-to-one is the exclusivity of course, and the total devotion of the time available to your individual game. But I can see that several friends could enjoy the same experience together - perhaps over a longer timescale to get everyone fully involved. It’s amazing how quickly the time seems to go. Vale do Lobo is clearly signposted, and easy-to-follow directions are provided if you don’t live in the Algarve. If you do, you’re bound to know where it is. There’s plenty of on-site parking, and the resort has courtesy transport to get you around if necessary. 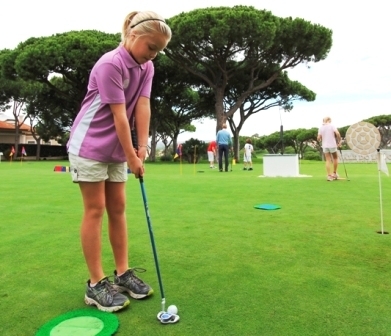 €55-€75 for a one-hour lesson, depending on age. Advance booking essential.